The Blue Sky Drugs website has been redesigned to serve our customers better. The order process has been streamlined, the system is more reliable, but the savings are still the same. Health, safety, affordability and quality care are the priorities at Blue Sky Drugs. By purchasing generic medications through our online pharmacy, customers can save hundreds of dollars each year. By shopping at Blue Sky Drugs, our customers enjoy the great convenience of having their generic drugs and medications safely and securely delivered straight to their door. While Blue Sky Drugs offers affordability and convenience, we also provide the highest-quality generic drugs. 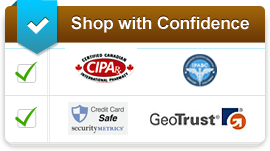 Our customers can feel confident that they are receiving generic medications which meet the highest standard. Our generic drugs are simply more affordable versions of well known, brand name medications. They have the same potency, chemical ingredients and therapeutic effects. All of our products comply with strict industry requirements and rigorous regulations. They are dispensed by licensed pharmacies. With our online generic pharmacy, customers can discreetly purchase their generic prescription drugs and over-the-counter medications from the comfort and privacy of their own home. Blue Sky Drugs customers have no need to worry about surprises when it comes to payment. We have no hidden charges. Customers simply pay the cost of their generic medications as listed on our website and a standard $10 shipping fee. In addition to our fulfillment center in Canada, we have several licensed fulfillment centers located worldwide. 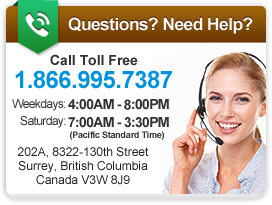 Blue Sky Drugs is able to provide international customers with quality care and service. All of our fulfillment centers are approved by local regulatory bodies and provide a high standard of customer service. Blue Sky Drugs has fulfillment centers in countries such as the United States, Singapore, Turkey, Mauritius, India, and the United Kingdom, as well as in other parts of the world.